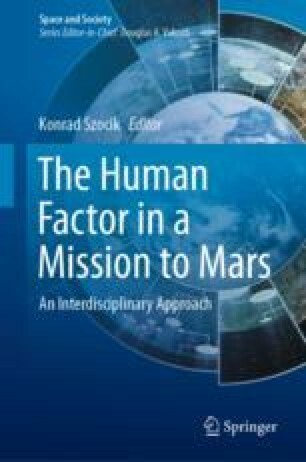 There are a number of candidate rationales for the settlement of Mars. These are considered in Sect. 10.1. At least one of them is economically plausible: its use as a base of operations for asteroid mining in the Main Belt. This rationale suggests that environmental protection on Mars needs to be considered in a broader context than that of the planet alone. More specifically, the authors argue in Sect. 10.2 that planetary environmental protection (which goes beyond ‘planetary protection’ in the stricter legal sense) is partly a matter of containment and so requires a framing principle. Section 10.3 supplies such a principle for protection, “the 1/8 principle”: while economic growth in space remains exponential and comparable to historical patterns on Earth, we should use no more than 1/8 of the available resources, in order to secure a reasonable ‘breaking distance’ before we reach a point of super-exploitation. Section 10.4 examines the difficulties of applying such a principle to Mars, the need for trade-offs and special weighting for special strategic resources such as uncollapsed lava tubes. Section 10.5 points out the ease with which the principle can be turned into policy options and its good matchup with human practices of valuing and use. The latter considerations may not be decisive, but they do count strongly in its favour. Green, J. (2017). Making Mars livable. https://www.youtube.com/watch?v=58RPasKQlwA. Accessed October 8, 2018.